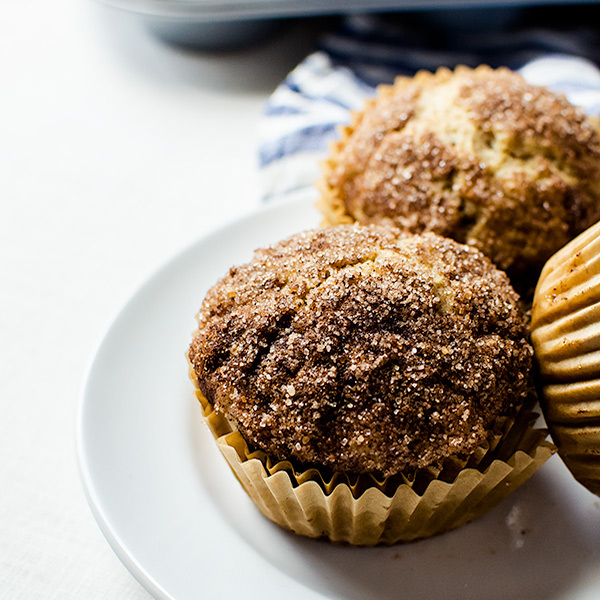 These snickerdoodle donut muffins taste like your favorite baked donut and cookie rolled into one. Make a double batch and have these throughout the week! Snickerdoodles are incredibly easy to make. I think they are easier to master than even a chocolate chip cookie. Considering how easy they are to make, you would think they wouldn’t even be something spectacular. But then you’d be wrong. Snickerdoodles are ridiculously delicious and seriously addictive. That cinnamon sugar coating on the light as air cookies are something dreams are made of. I especially love it in donut form because you get more of it and its easier to dunk in a cup of coffee or eat in the morning without people judging you. Lately, I’ve been into baked donuts because they are lighter in fat, but not everyone has a donut pan at home. Luckily snickerdoodle donut muffins solve that problem. These are baked donuts made in a muffin tin and baked to perfection. 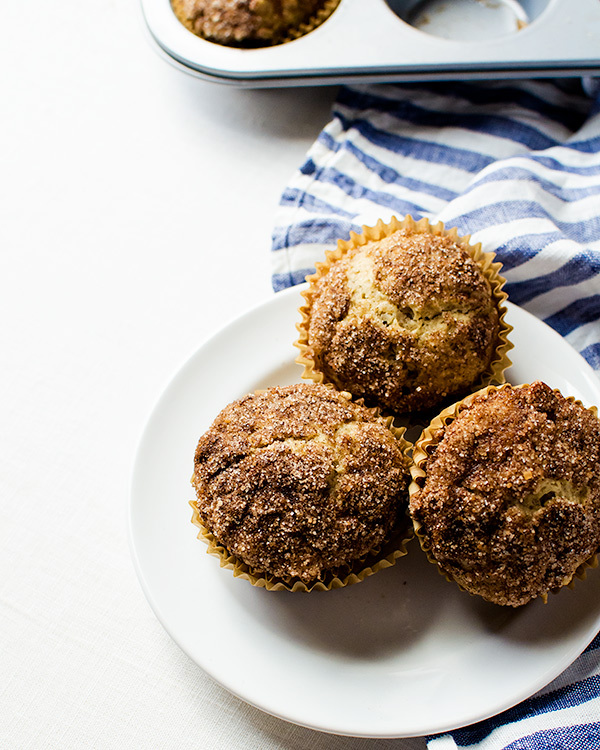 These snickerdoodle donut muffins taste just like a delicious baked donut with the flavor of snickerdoodles. They are easy to grab and go during busy mornings and make a perfect after-dinner snack. The best part is they are super easy to make and come out perfect every time! Preheat the oven to 350 degrees F. Line a muffin tin with 10 – 11 cupcake liners. In a medium bowl, add the flour, baking powder, baking soda, salt, cinnamon, and nutmeg. In a separate bowl, add the eggs and sugar and beat until light in color. Beat in the milk, sour cream, melted butter, and vanilla. Make sure the milk and sour cream are gently warmed, I prefer mine just a touch over room temperature. I do this by microwaving them for about 20 – 25 seconds. Create a well in the middle of the flour mixture and add the wet ingredients. Mix until just combined. It is important to not over mix. There should still be plenty of lumps in the batter. Evenly divide the batter into 10 – 11 cupcake liners. Mix together the sugars and cinnamon for the topping. Generously sprinkle the cinnamon sugar over the muffins and very gently press to make sure it sticks. Bake for 15 – 18 minutes, or until the muffins bounce back when gently touched and a toothpick inserted in the middle comes out clean.